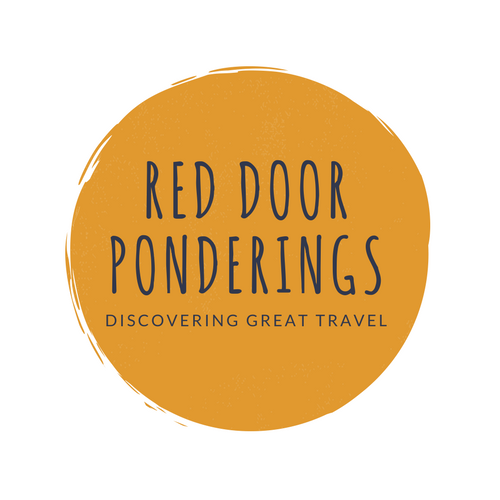 Welcome to Red Door Ponderings – a space to find travel inspiration, tips on how to get more bang for your travel buck and of course our travel stories. We are Cath and Andrew, a pair of Kiwis on the adventure of our lives. You can find out more about us below. We love to travel and regularly explore and travel to new and familiar locations. After years of working hard and squeezing travel into our available leave, we are flipping our lives on their heads and heading off for new adventures. In mid-2017 we sold our house, put what is left of our possessions into storage and made the move to house sitting and travelling. We are based in the UK where we work remotely, house sit and plan our next adventures. We started Red Door Ponderings because we are always looking for good sources of information about new destinations – that was tailored to us. And we want to see more diversity in travel blogging. We struggled to find good, clear and easy to read information we could use. We aren’t spring chickens heading off on our Big OE to backpack around the world, but we are definitely enthusiastic travellers excited about exploring new parts of the world and challenging ourselves to try and do new things. We are always on the look out for good quality experiences at a good price. We aren’t going to be backpacking our way around the world either! We take a slower approach to our travel, taking time to soak in and experience new places, flavours, cultures and views of the world. Our friends and families are always hitting us up about new destinations and our experiences. We love to explore new places through food and culture, and meeting new people along the way – so come along for the ride. We are always seeking the not so elusive balance of price and quality, we go digging to find new flavours, experiences and destinations. We have to confess we are no longer party people who can see in the sunrise (hmmm, where we ever?). You are more likely to find us in the local market smelling cheeses, tasting wine and sampling to our heart’s content. If we can also meet new people, have a laugh and enjoy life – then we are winning at life! Cath is former New Zealand Public Servant and is now a Business Owner who has spent decades working too much. Rather than figuring out work life balance Cath is trying to figure out a new life rhythm which includes those things that bring joy including travel and yes, work! As an indigenous person, New Zealand Māori, Cath looks for ways to connect with and support local culture and businesses where ever she travels. Cath wrote about her experiences here. (link to native article). Cath’s Superpower is her Superior Homing Pigeon Skills – Cath can find her way back to any place. She manages to find her way back through maze like old cities and streets to places she has been to only once before. Map not necessarily required. Cath’s dream is to find beautiful travel clothes that fit! Andrew is a lapsed chef who loves discovering cultures and destinations through local food, flavours and tastes. Andrew is always ferreting out local delicacies, sampling the local brew and figuring out various flavours and ingredients. Andrew’s philosophy is that good, tasty food doesn’t have to be expensive or flash, but is more likely what the locals eat and enjoy (and have done for generations). Andrew is also Cooking Teacher. Teaching cooking means Andrew is able to share his passion, knowledge and expertise about food, flavours and techniques. He is proud to have helped many people master the art of cooking tasty food for themselves – and even enjoy it. Andrew’s Superpower is his love of facts! All the facts, all the time. Being incredibly informed about the places we visit, their history and economy has helped with many a discussion around the world.